According to Feldman’s Deli owner Michael Feldman, there is some dispute among food historians over the origin of blintzes, but “they probably came from Hungary or Russia,” he says. Wherever they were created, I’m happy that they found their way to the hands and heart of Janet Feldman, Michael’s wife, who makes ethereal blintzes from scratch at the Deli. 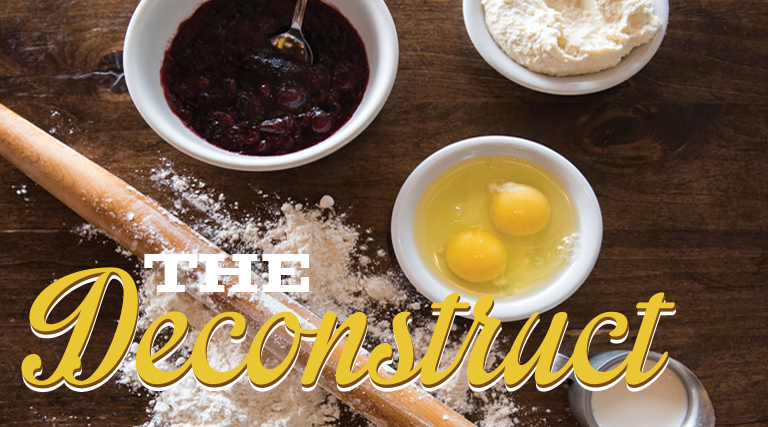 Her thin—almost see-through—crêpe-like pancakes are stuffed with a heady mixture of mascarpone, ricotta and cream cheeses along with lemon extract, egg yolk (the whites would make the filling too runny, Janet says) and vanilla. The cheese filling is wrapped up—sort of burrito-style—in the blintz pancake and then pan-fried until golden brown and crisp on the outside. 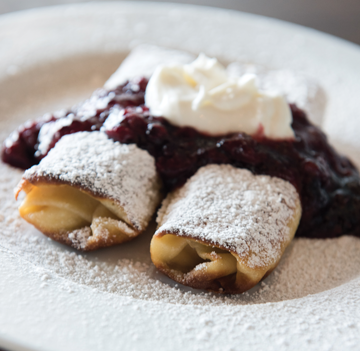 She finishes off her beautiful blintzes with a topping of sour cherry compote and a dollop of sour cream. It’s definitely a blintz to brag about.